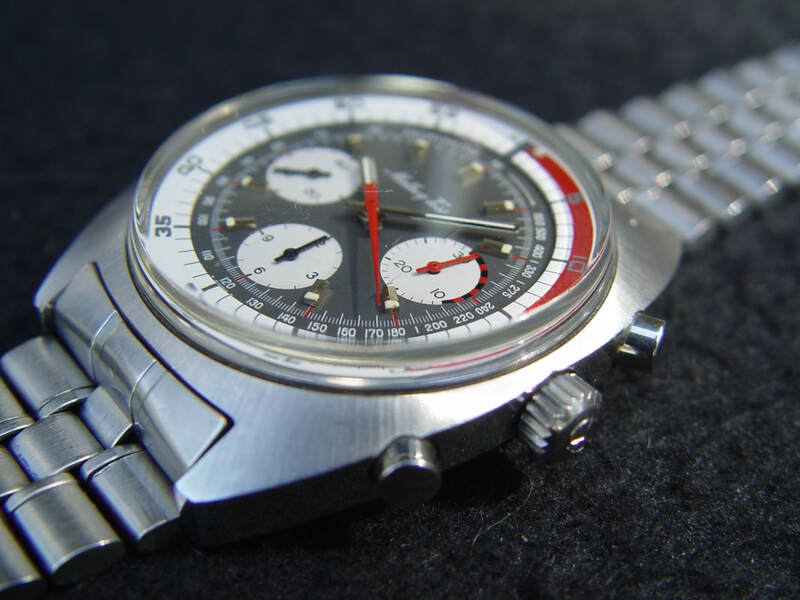 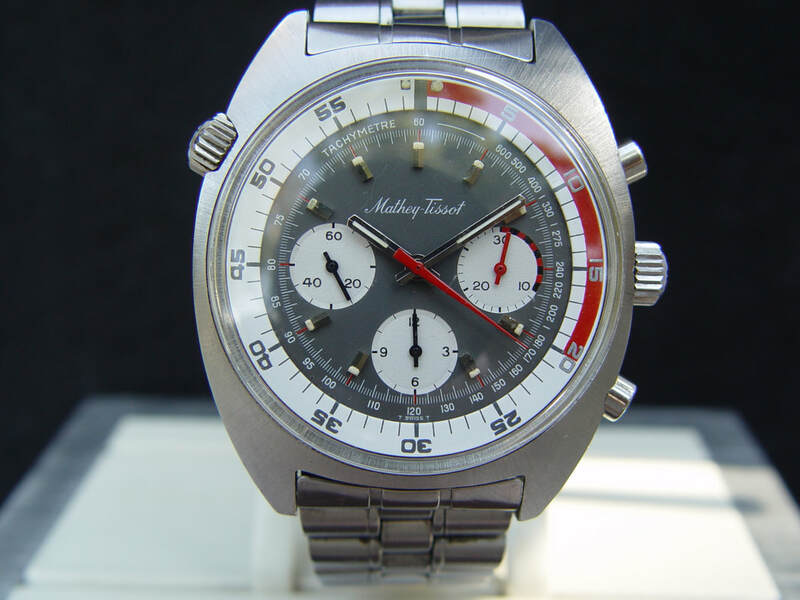 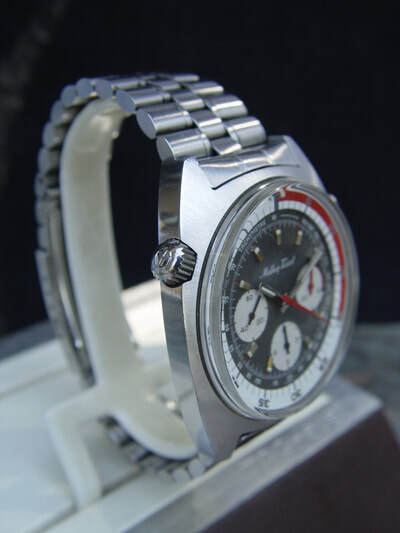 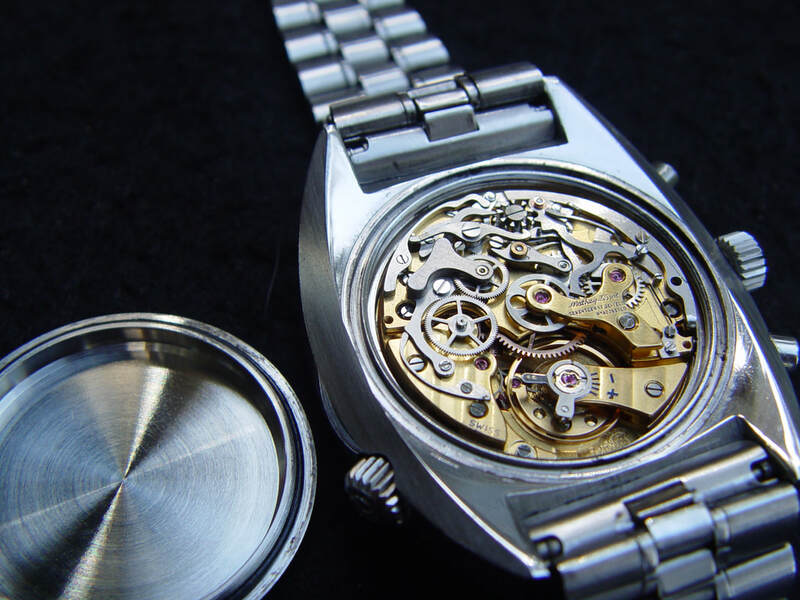 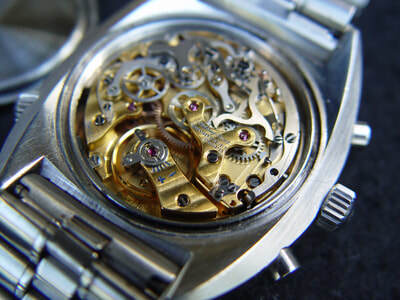 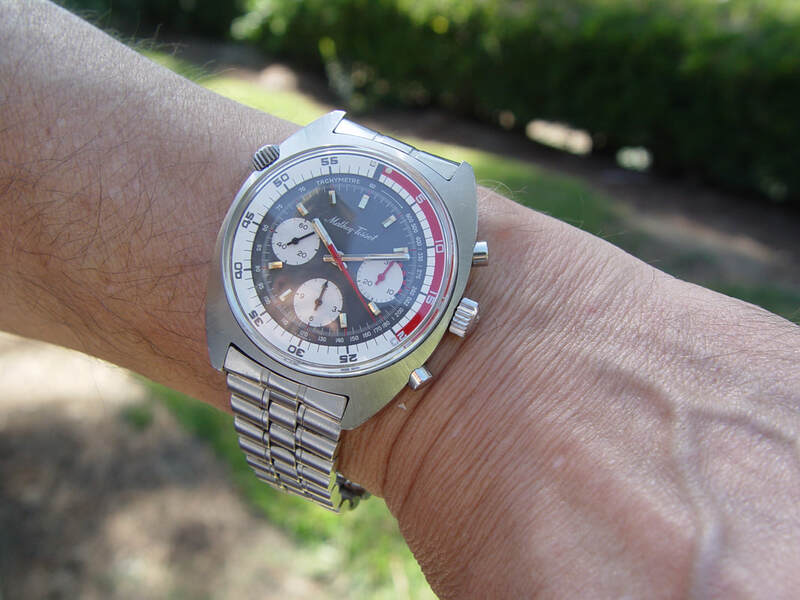 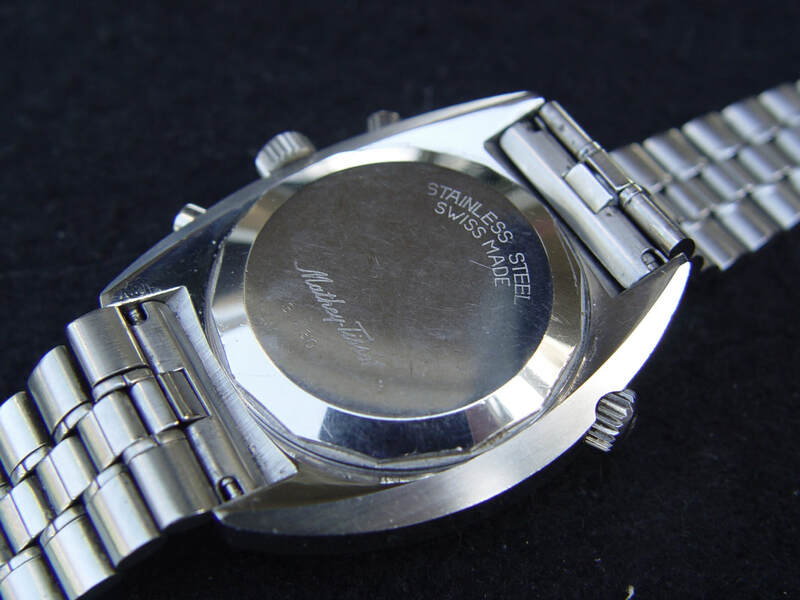 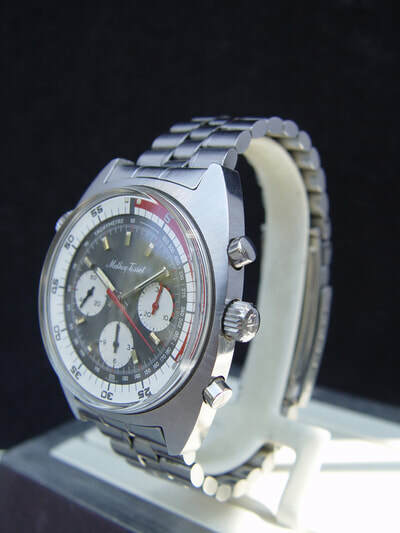 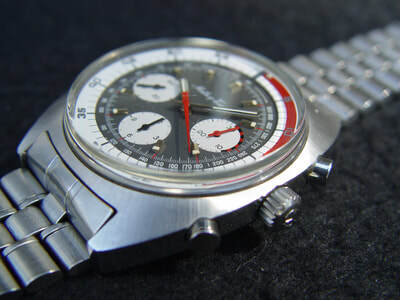 A gorgeous and large Chronograph with an outer rotating minute bezel to time various Sport's periods. It is in excellent overall condition. 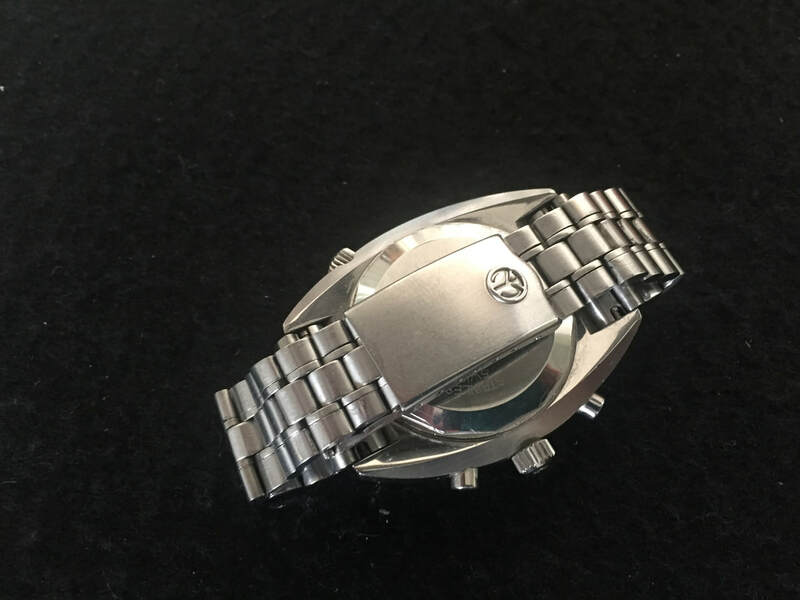 The case retained the sunburst finish and the dial and hands are flawless.